This is far and away the most popular graphics mod for Witcher 3. Like so many similar mods for Skyrim, it improves the game’s graphics by modifying textures and models for things like trees, rocks, rooftops, and a lot more. This simple mod raises your maximum weight limit by 9000. This means you don’t really need to worry about weight anymore and can loot everything you want. If you see weight/bag slot limits in RPGs as an annoying crutch, this is a simple way to improve your Witcher experience. This mod allows you to fast travel no matter where you are, instead of having to reach a sign post first. In my opinion, this is the most practical Witcher 3 mod out there. It currently has over 150,000 downloads and is updated regularly. Tired of only being able to follow 1 quest at a time? 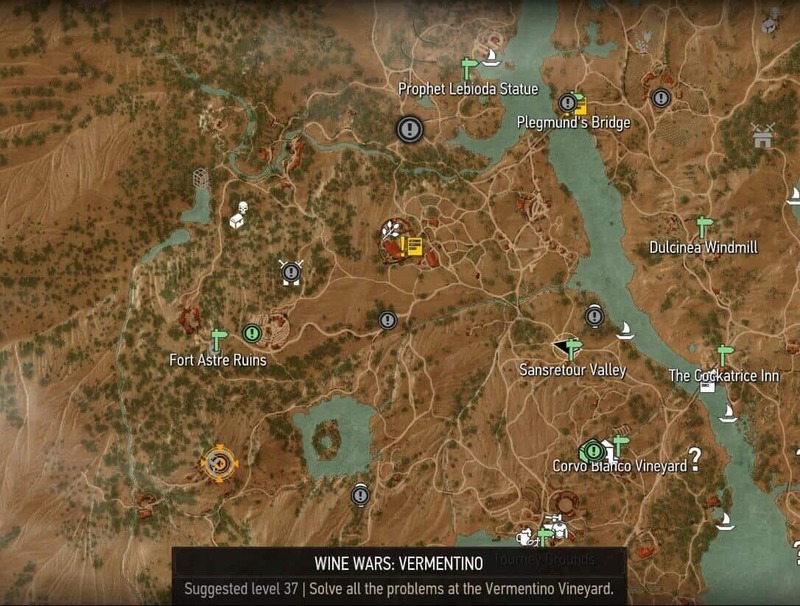 This mod adds pins for all the quests in your journal onto the map. You can mouse over the pins to get more info, and click on them to change your tracked quest instantly. Note: this addon conflicts with Fast Travel Anywhere; if you want to use both, install the Script Merger program and merge the conflicting scripts. This addon automatically loots all dead enemies in range, and also takes all items when you open containers/gather ingredients. You can also customize the mod to choose what and how you want it to loot. Note: If you’re having trouble getting this mod to work, try the 1.31-friendy autoloot mod. This is a very popular mod that allows you to type all sorts of commands from the ~ menu. You can do stuff like spawn monsters, NPCs, items, make youself invincible and much more. 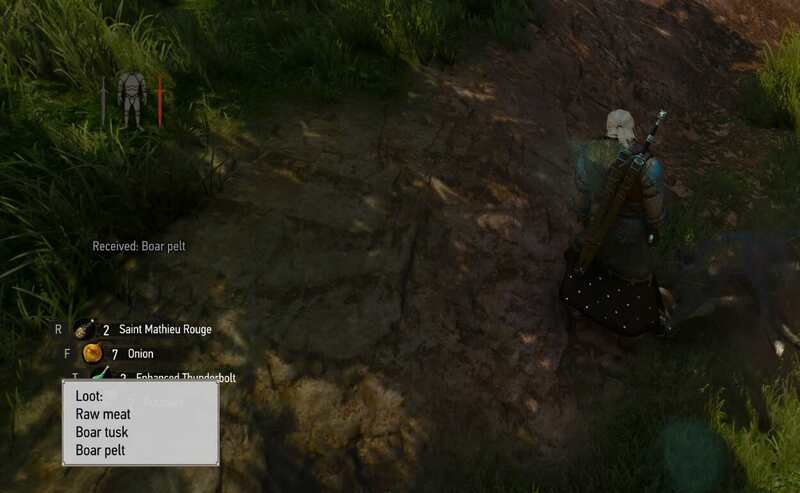 In the screenshot above, I switched my playable character from Geralt to Ciri by typing in a command. This page has a list of most of the available debug console commands. A little word of caution, though: this mod has a very specific installation procedure, so be sure to read all of the instructions provided by the author. This mod makes drastic changes to the game’s lighting, making it more realistic and less saturated, increasing view distance, and removing the strong orange and blue hues. This mod certainly isn’t for everyone, but check it out and see if you like it. Witcher 3 is known for having some tedious gameplay elements, like weapon oils. 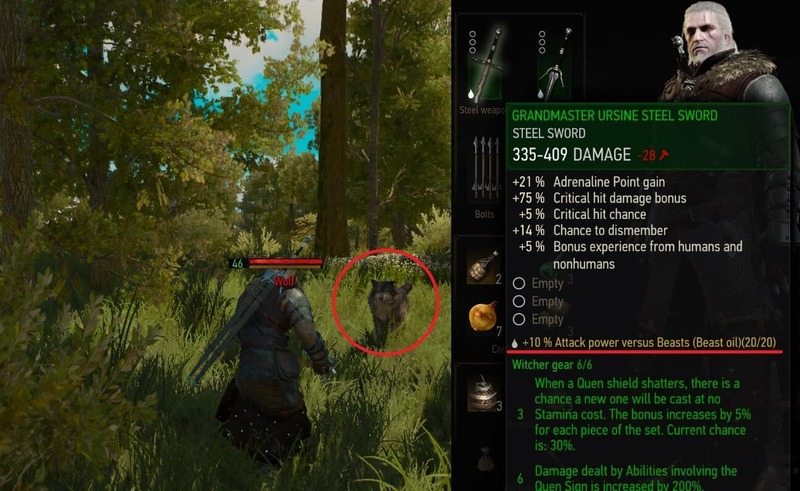 This addon takes all the headache out of it but automatically applying the correct weapon oil whenever it detects a specific type of enemy in range. Loot is a big part of the game, so it can be frustrating to sometimes not get anything from killing monsters. This mod helps with that problem by increasing the amount and likelihood of loot drops from monsters. With 5 different loot rulesets to choose from, you have many options on how exactly you want to change or improve loot drops. 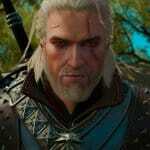 Are you bothered by the 12 skill slot restriction in Witcher 3? A lot of people are, which is why this mod allows you to have up to 96 skills equipped at the same time. While this may be a little TOO drastic, you can easily toggle how many skill slots you want to have available in the game’s Gameplay options after installing the mod. One common issue with mods is that your game might not start – this is typically due to several mods trying to modify the same game files. One way to identify the problem and fix it is to use the Script Merger program. Simply install it, input your Witcher 3 directory, and then the program will tell you which addons have conflicts, and allow you to merge files to resolve them. If this is your first time using mods for Witcher 3, you have two ways of installing them: the manual way, and the Nexus Mod Manager (NMM) way. I personally use NMM because it’s easy and takes care of things like updating, but it’s totally up to you. Note: Keep in mind some mods have a more complicated way of installing them, such as the Console Debug Enabler. In cases such as these, follow the instructions posted by the Mod’s creator.